Heaven On My Earth is an urban farming initiative from where you can source your leafy greens, or learn how to grow them yourself! 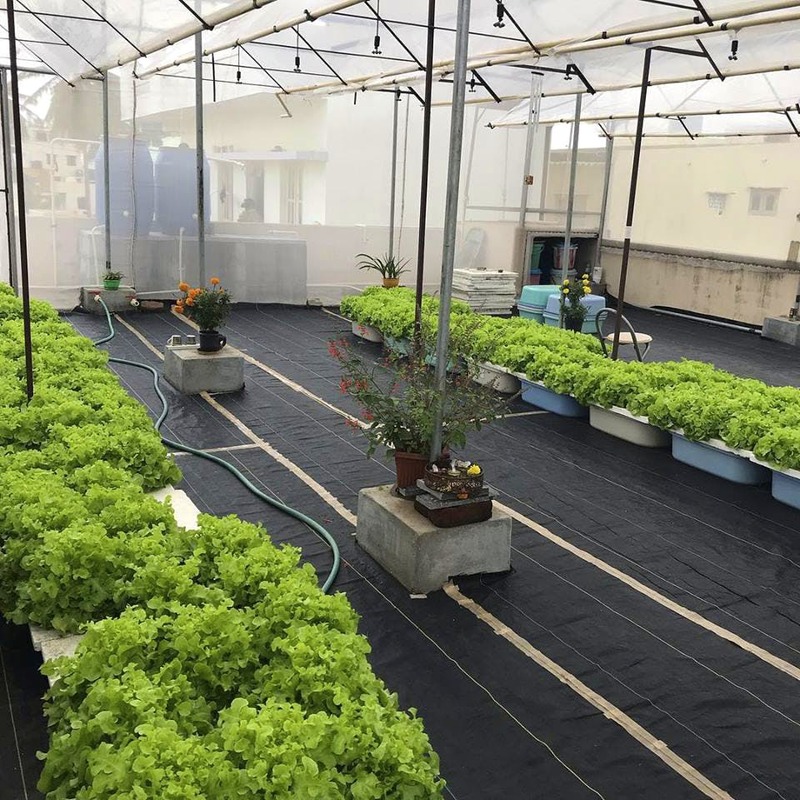 With local and sustainable food sourcing growing popular, it comes as no surprise that many Bangaloreans are taking it into their own hands and growing it themselves. Heaven On My Earth (aptly forming H.O.M.E) is an Urban Farming initiative that brings farm fresh, Homegrown (pun intended) veggies to you. No chemicals or pesticides included. Started as a subscription service (which it continues to be) for regular and microgreens, the urban farm now also functions as a workshop space. They encourage visitors, so you can really see the produce growing (and occasion during the harvest process too) - what you see is what you get. Currently you can pick up staples like lettuce, spinach, and cilantro. You also get herbs and salad greens like thyme, basil and arugula. The price range for a standard bushel of greens is between INR 40 and INR 110. H.O.M.E is also experimenting with vegetables like bell peppers, tomatoes, and eggplant among others, and are available seasonally. While the chances of making a purchase are low for walk-in customers, you will be taken around the, terrace-greenhouse (and if you weren’t tempted to buy anything before, you’ll suddenly want to). Processes will be explained, and if you’re looking to subscribe for a monthly or yearly subscription, you can -- Truly farm to fork. Customers waiting for their greens can happily go to the farm to harvest their own produce if they like. Their website and social media usually has updates on the greens available that week. You can consult Heaven On My Earth to help set up an urban farming unit for your home (they even have models that don’t require soil), and grow all the greens yourself, because they truly believe that sharing is caring.